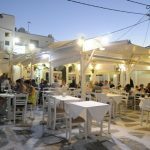 It opened its doors for the first time in 1963 at the heart of Chora, as a traditional Greek tavern. 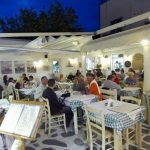 First debuted in Ornos back in 1994, now it is a friendly hangout for grilled food and traditional Greek cuisine. 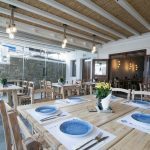 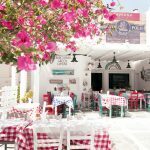 In a plain environment that balances between traditional and modern, grilled meat, stews, souvlaki, gyros, pasta, salads and burgers are served. 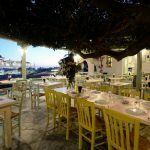 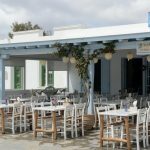 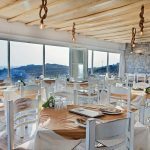 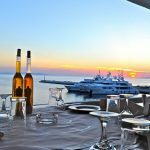 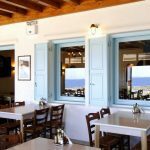 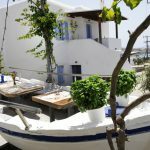 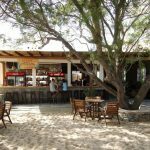 Since 1981, at the picturesque Agia Moni square, right over the spot where the boats to Delos depart from, the classic Paraportiani tavern is found.